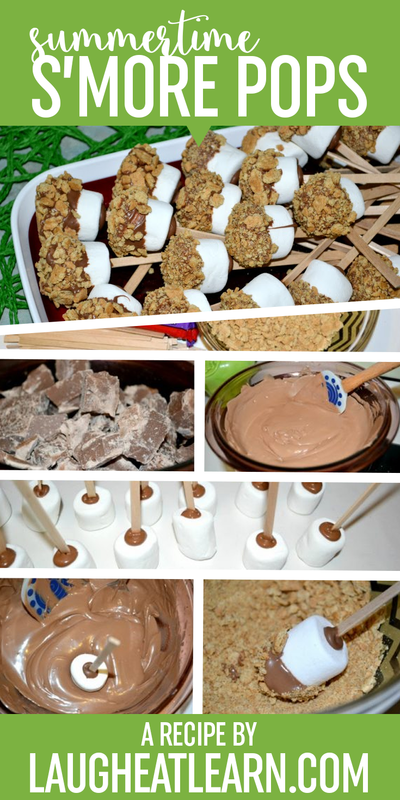 Yes, I said it… S’more pops. Summer is RIGHT around the corner and one of my absolute favorite things is S’mores around a campfire. We can’t always get away to a campground so this is the perfect and quick way to enjoy that memory without the firewood and matches. Ready for summer treats? Pin it to save! Summer time is the best and s’mores are seriously even better. Every summer my best friend and I head camping and pretty much have a million s’mores. I wanted to bring this into my classroom before the end of the year so I decided to make pops for them all. Pair this with a good book outside and the kiddos will love s’mores as much as I do! 1½ Packages of Graham Crackers. Boil a pot of water. Create a double boiler by adding a microwave safe bowl on top of the pot. Chop up or smash in my case your chocolate. You want the pieces smaller so they melt faster. it closely as it melts. This is not time to go fold laundry! This takes about 5-10 minutes. Remove from heat when it is completely melted and smooth. 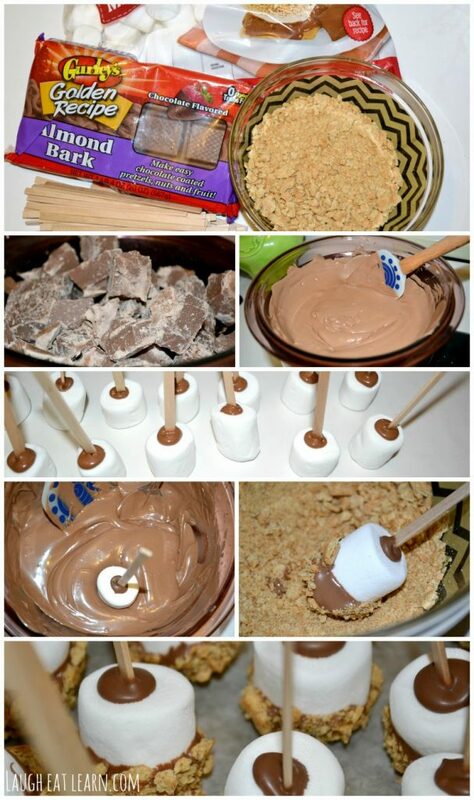 Dip your marshmallow into the chocolate, roll into the crushed graham crackers. Place them onto wax paper to dry completely. It shouldn't only take about 5 minutes to dry. Display them on your favorite platter or eat right away and ENJOY! This recipe yields the entire bag of marshmallows, about 60 pops! Love this idea. Would be great for a special bento treat. Thanks for sharing on Tasty Tuesdays. and these are such delicious treats!! These look so good, and like they'd be just SO much fun in the summer. Thanks for sharing 🙂 I hope to see another recipe from you tomorrow at DDT! Thanks for swinging by Mary! Yum! They were so easy and so tasty!